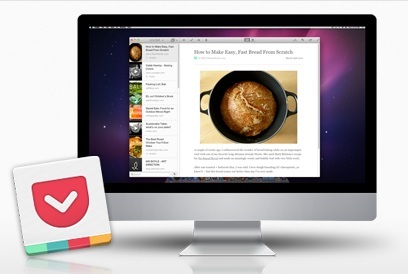 Pocket, one of the many web services which lets you save web content to be seen/viewed later, has expanded their empire to Apple's desktop computers. According to Pocket, Pocket for Mac brings users everything they love about Pocket's iOS and Android apps—offline access, distraction-free reading, streaming video, and more—into a beautiful app that is optimized for Mac. The app works with your existing account, enabling you to use your current widgets, bookmarklets, or other tricks to note the content you wish to save. The new app will sync with your other Pocket apps, including the apps for Android, iOS, Kindle Fire and web browser. If you use the service, let me know what you think of the new app. I don't have a Mac so it is a little outside my reach.